6 white perfume lilies, with forget-me-not, baby's breath, round packaging. Your purchase includes a complimentary personalized gift card. Shipping : Any Part in Philippines. 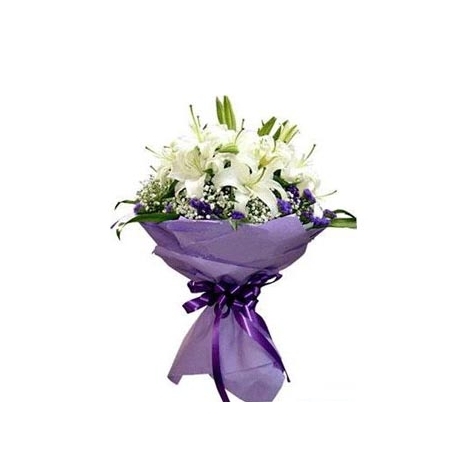 6 white perfume lilies, with forget-me-not, baby's breath, round packaging.